Technology has done wonders for the automotive industry. The digitization of the automobile has made them safer while filling them with exciting new features. However, modern conveniences often come with caveats, and the car is no different. 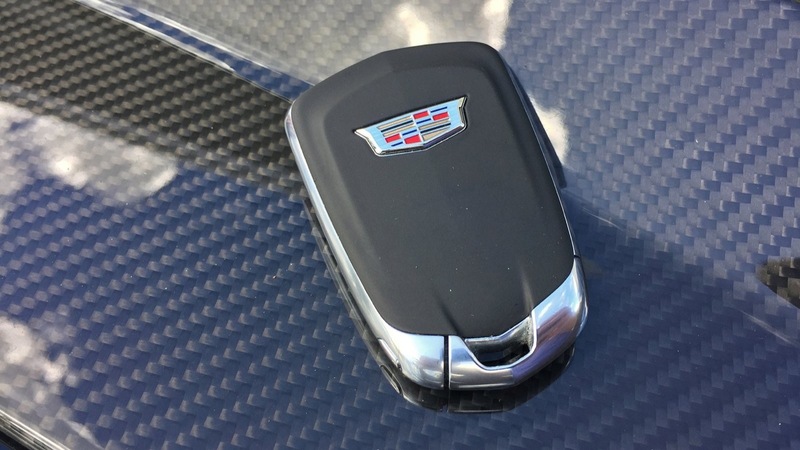 Security experts are warning owners about the vulnerabilities associated with key fobs and how easy it is for hackers to access, steal, and mimic a fob’s unique signal, according to a new report from The Detroit Free Press. Yes, this includes General Motors key fobs. According to the report, the easiest way for consumers to protect themselves is to keep their key fob protected via a tin can, aluminum foil, or Faraday cage—a device that blocks electromagnetic signals such as those emitted from the key fob. A vehicle is always ready to receive the signal from the key fob. All hackers have to do is copy the code to access the vehicle. This is done by amplifying a key fob signal, which is possible through devices readily available for purchase, allowing thieves to capture key fob signals outside of homes. Like a tinfoil hat, but for your key fob, it seems. You can test how effective your homemade Faraday cage is by seeing if a caged key fob can still lock and unlock your car doors. If it doesn’t work, then your key fob signal is protected. 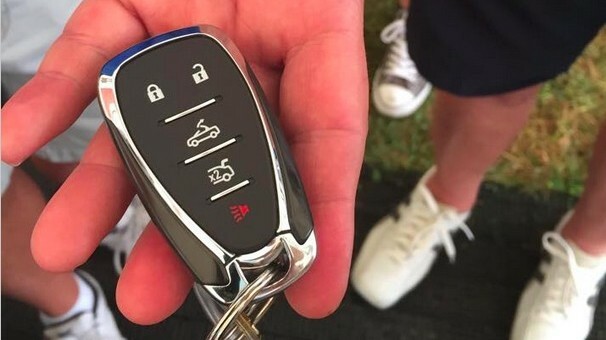 Automakers ushered in the digitization of the key fob to stop thieves from being able to hotwire a car and steal it from someone’s driveway. However, that digitization makes stealing a vehicle easier than ever. It’s almost as if these added complexities to the modern vehicle aren’t solving decades-old problems. Instead, they’re transforming how such issues arise. This time, though, technologies such as OnStar and its Stolen Vehicle Assistance and Stolen Vehicle Slowdown features can help owners recover a stolen vehicle. Maybe it’s time to move back to a simple metal key and eliminate the digital part of the key fob. It is doubtful owners would want to give up the convenience for added safety. how about an off switch until a more elegant solution comes up. A lot of commentors here can simply use the foil they already have on their heads. Maybe the old time keys were not so bad after all? Except for the 2010-2015 Camaros. Maybe GM could finally hire some NEW TECH people and encrypt the key fobs. Or better yet toggle between your smart phone or the vehicle fob. Most people who use a smart phone for business already have it encrypted for protection. Keys, Fobs, a waste, or again at least an option. How classy is this? 50k for a vehicle and a roll of Reynolds aluminum foil for free! Gotta love progress. All of the sudden my key isn’t such a barbaric solution. One of many things I like in my 2018 Silverado over the 2019. Never understood the facination with push to start. For one, the packaging of the ignition module is far easier as you don’t have a key cylinder. If you car gets stolen this way the manufacturer is libel. It’s fraud to sell a locking device which actually doesn’t work as intended. So either they must present a firmware update to the fob or replace it with one that does work. Conventional key locks can be picked. By your reasoning, it’s fraud if a burglar can circumvent the reasonable the security measures of a door lock in the same capacity that a hacker can circumvent the reasonable the security measures of a key fob. So, should Weiser locks should liable if a burglar is able to defeat a door lock steal property within a house? think about this for a minute. It would take the perfect condition for this to happen. Basically the thief would have to be near you and scan for your key fob and then know exactly what car you got out of. Its probably 1 in a million chance for this to happen. Here is the other thing. None of these will be able to start if it doesn’t recognize the key fob. so yea you might get in it but starting it and driving away will be a lot harder than this guy is writing about. They probably did the test in a controlled environment so yea it could be made to work. This story has been around for years and if someone wants my car that bad they can have it. I believe the scenario is the thieves case your car and when you enter the car one morning they are waiting with electronics to grab your key fob info, first the unlock code then the starting code. I have seen videos on this but I too am sceptical as the fib has to be in the car to start and drive away, and there is a RF chip that codes this, so the thieves must be really technical to do all this. I don’t think thes guys will be targeting an impala or a Cruze, probably cars 100K and higher. Well History repeats itself-I remember when we equipped the 84 Corvette with a sophisticated antitheft-I it worked perfectly for about 6 months-only thefts were ones that were towed away. We added many improvements since then and none of them have been perfect. I have tried mine and I have to be really close to the car for it to work(depending on the battery freshness) -so logic tells me so will thieves have to be close to me to record and know where my car is located. I did lose a Denali at the valet parking-RCMP were quick and super efficient-they found the vehicle being loaded on a ship at a Western port-the vehicle was returned and it was professionally prepared. A local dealer called me and said he lined up his pre-delivery staff and told then to examine the vehicle and see how beautiful the vehicle was prepared including new keys and stones picked out of the tires-oh yes speedometer rollback-there were three other Denali’s in the same container!! I was an instructor for GM at the time when the 84 Corvette was introduced-it was delayed from 83-we didn’t sell any 83 models trying to get it right. I travelled all across the country teaching the local instructors how to teach a bumper to bumper introduction package. I loved the Corvette more each time I taught the course. I was so impressed in one training centre when I came back after lunch-the students had developed their own diagnostic procedure of how to analyse a theft deterrent system. This was several months before the manuals were printed-I wrote several manuals myself in the past. ( I was taught by a wonderful writer from Cadillac who had won many awards for writing manuals). Their diagnosis was right on for a module-check ALL the inputs and if they are right only then the module is defective. I later met Bob Stemple-the 84 Corvette was his last engineering project before he became the CEO of GM. I asked him why he stayed as CEO so short a time before he retired-he went to a wonderful Michigan company to help develop Solar panels and fuel cells for the space program. He was a kind and wonderful man-I asked him to the first ASEP international program to be the guest speaker. He accepted and visited with every ASEP (GM Automotive Education Program) from all of North America in three days-they all raved about him! Unfortunately he is no longer with us. I have been retired for 15 years from this wonderful company – I hope my comments are appropriate. They are the real stuff! From the press release of the MY2019 BMW 3, “If the Comfort Access option is specified, the car will automatically unlock when the keyfob is detected in its immediate vicinity and lock again when it moves out of range. This feature’s functionality includes hands-free opening and closing of the trunk lid. A new movement sensor in the key permanently monitors whether the key is being carried (and therefore is always transmitting) or has been put down on a table, for example, allowing it to switch into standby mode with the transmit function deactivated“. Maybe Cadillac could implement similar function in its key.